Presenting our 2018-2019 Prima Design Team! Today is an exciting day as we introduce our newest papercraft/mixed-media design team! But, before we do that, we want to humbly thank everyone who entered our design team call. We know so many of you put your creative hearts on the line and we appreciate each and every one of you! We spent many hours going through all of the entries. It is no small task. And it is even harder when there are so many excellent choices. We consider ALL OF YOU part of our Prima family around the world. THANK YOU for loving our products and being so amazingly creative with them. It's time to announce our 2018-2019 team! You will see some familiar faces as we welcome so many gals back + introduce some new talent! Each designer brings a specialized set of creativity to our team! Please help them celebrate today!!! Working with the most creative team in the world is a huge honor for me! I love how amazingly creative our designers are. Yet they are more than that...they are kind, helpful, giving, beautiful souls. 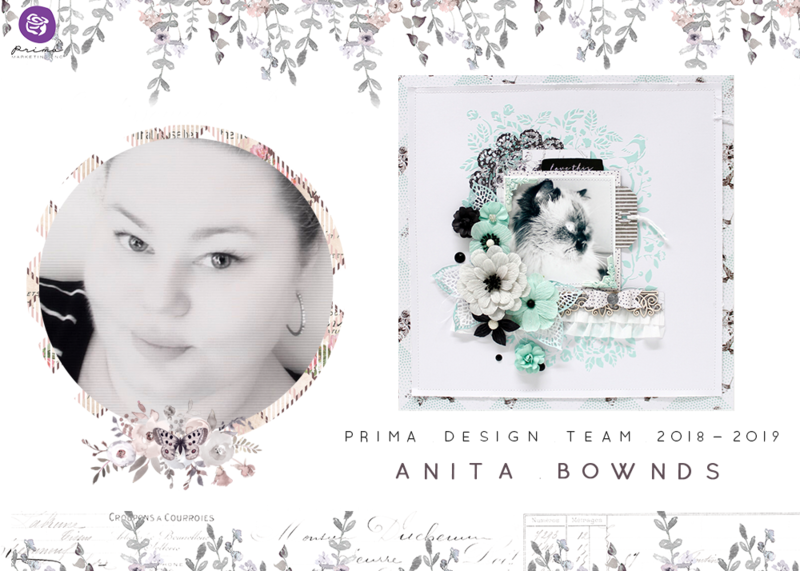 I hope you are all inspired by our team over the months and create even more beautiful things with your Prima products!